This entry was posted in Grace, Healing, Love, Motherly Comfort, Novena, Peace, Prayer, The Virgin Mary and tagged All Saints, Angels, Annunciation, bible, blessed, Blessed Mother, catholic, Christ, church, crisis, Cross, divine, family, help, Mary, Novena, prayer by sandra dipasqua. Bookmark the permalink. 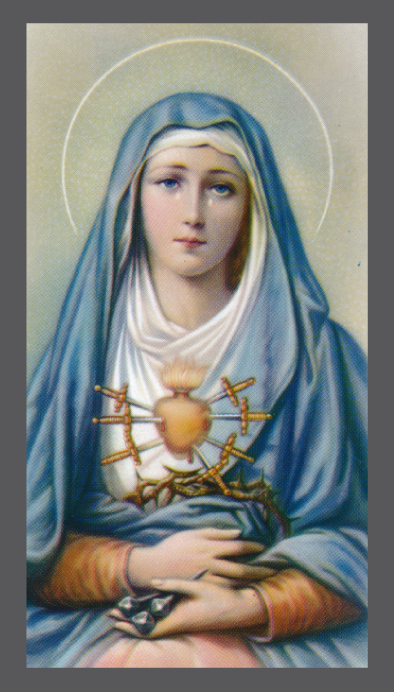 Mother of Sorrows ~ pray for us sinners, now and at the hour of our death. Amen.